Maximum heat defense for cool sailing. A Trivantage original, HarborTime Edge is a cutting-edge marine fabric. 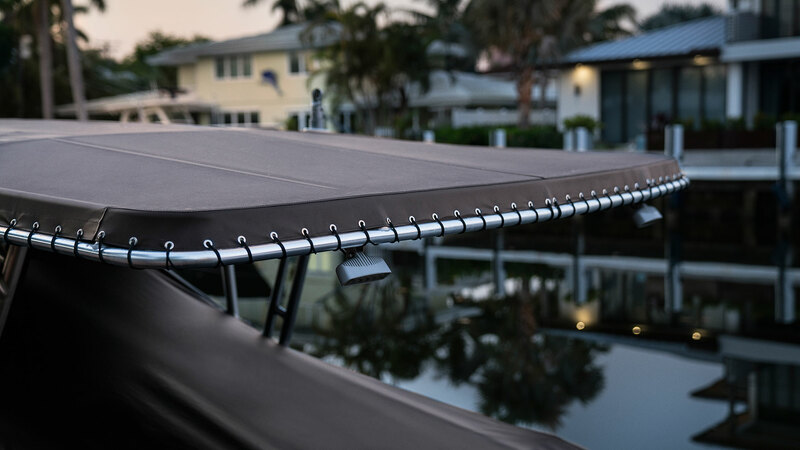 To combat the heat on open water, the fabric is developed with a Perfecta Marine® surface treatment. This means advanced heat reduction, heat reflection, and UV performance for your customers. The technology helps keep interiors and passengers cool. Made from coated polyester, the water-resistant boat fabric defends against abrasion, shrinking, stretching, fading, and mildew. 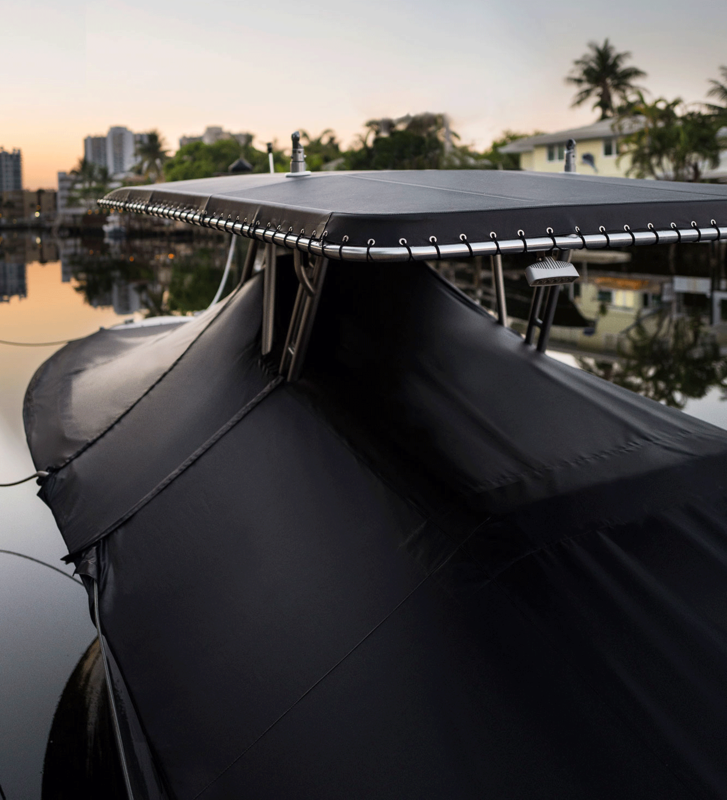 This makes it great for use in T-tops, bimini covers, vented enclosures, splash curtains, mooring, travel covers, and other applications. Our durability promise is backed by an unmatched 7-year warranty. An improvement of the original HarborTime fabric, Edge offers even stronger protection from heat and UV rays. The boat canvas material has been fine-tuned for performance and beauty. Choose from 15 colors, like Onyx and Mallard Green. For projects that require a more robust fabric, HarborTime Edge HD is built to hold. Two inches wider and two ounces heavier than Edge, HD is great for larger boats and tougher climates. The heavy-duty marine canvas is offered in our three most popular colors.